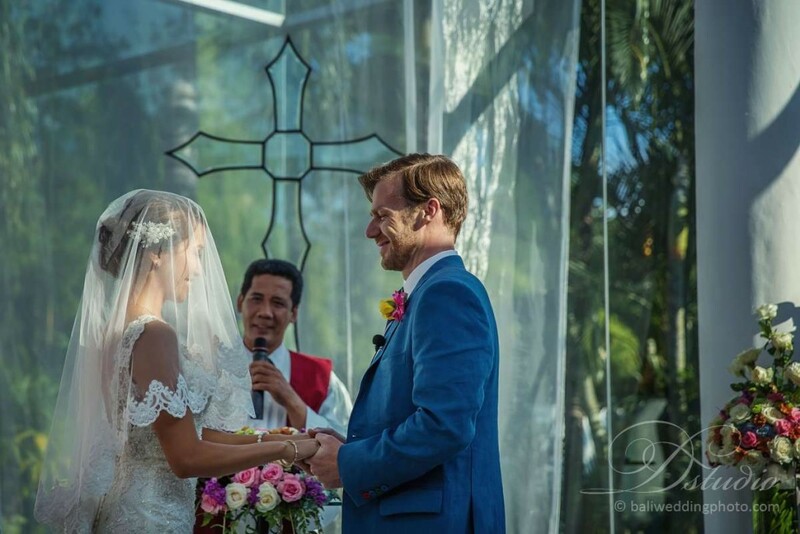 Our Bali photography and videography project this time take place at Shanti Chapel Bali for wedding ceremony and Villa Melissa Canggu for wedding reception. 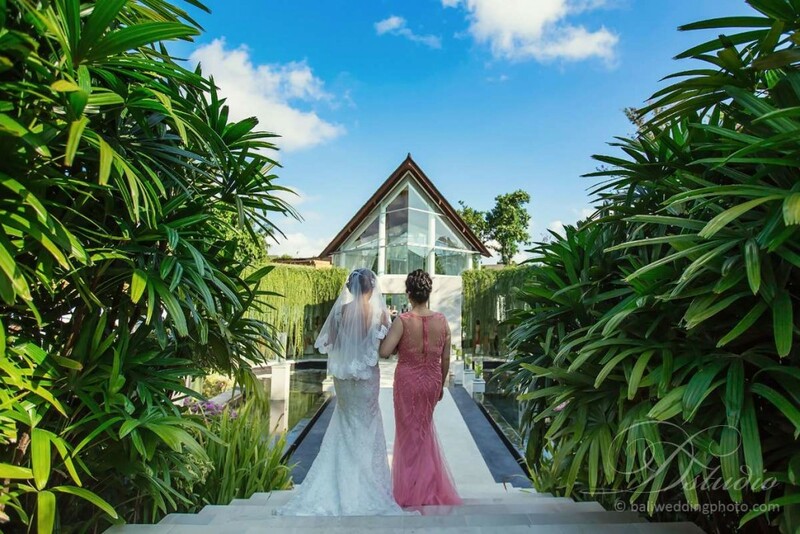 Shanti Chapel is a beautiful garden wedding chapel located in Seminyak. While Villa Melissa is a big beautiful beachfront villa, that is my my first impression when i see this villa. The wedding couple, Rachel and Noel, they both are lovely couple come from Dubai. 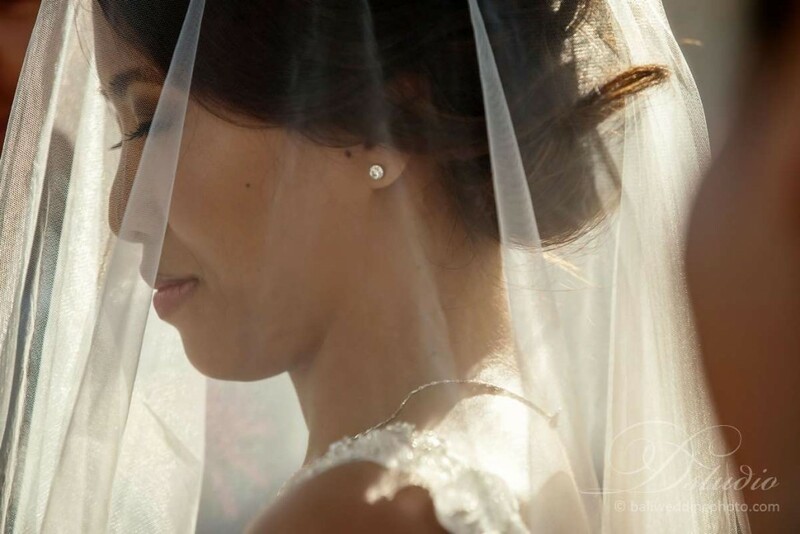 Full day wedding photography and videography package is what they choose for their wedding photo and wedding video. 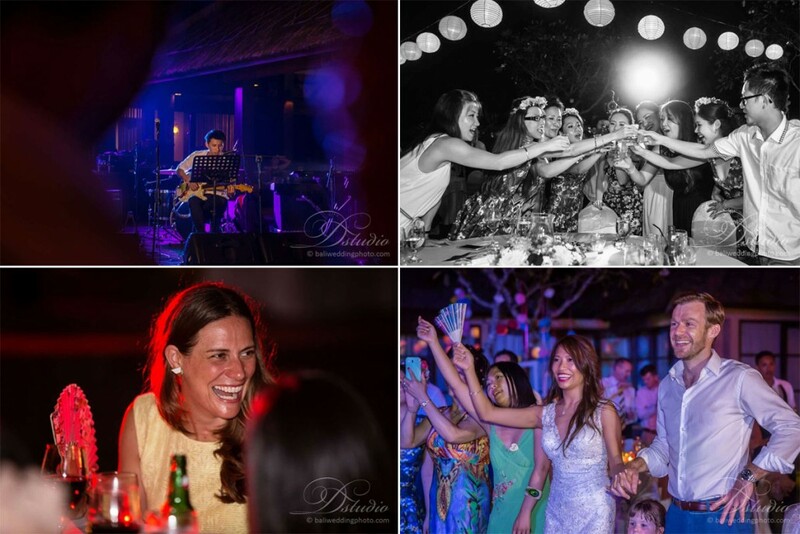 D’studio Bali wedding photography and videography team come to the villa earlier and start to take a tour around the villa to find some good spot for photo and video shoot. The bride and bridesmaids do wedding makeup and hairdo at Villa Melissa before heading to Shanti Chapel for wedding ceremony. 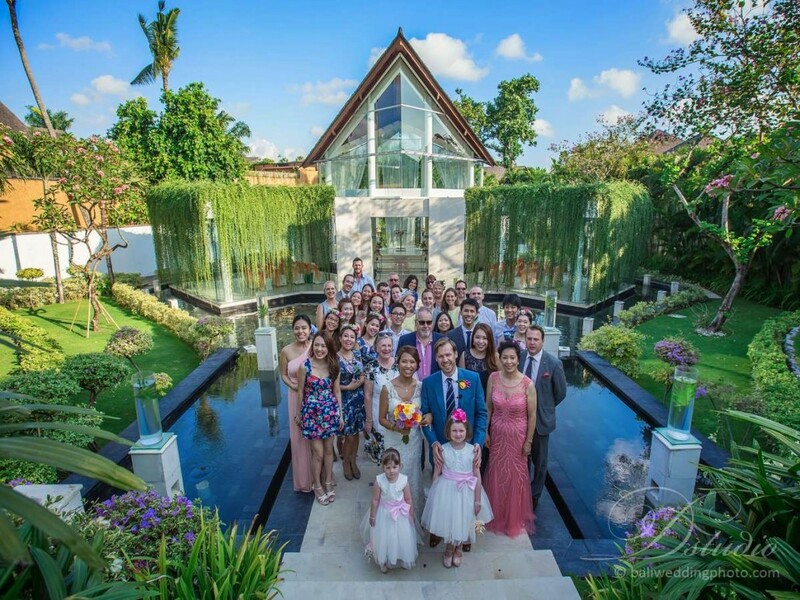 While Bali photographer and Bali videographer team take wedding preparation photo, wedding planner team decorate the villa to get it ready for wedding reception. The wedding planner this time is from Bali Memorable. After bride and bridesmaids ready, we move to Shanti Chapel that 30 minutes away from Villa Melissa, where the groom and guests already wait for the bride to comes. The wedding chapel looks beautiful with fresh flower decorations. Arriving at Shanti Chapel Seminyak, bride and bridesmaids walking down aisle and everyone seems very excited, especially the groom. Noel, here comes the bride. Wedding ceremony starts with priest welcome speech, then continued with wedding vow exchange. Wedding ring exchange comes after that and closed with wedding blessing and wedding kiss, of course not to forget the big applause from all the guests welcoming our new Mr and Mrs. At this time i remember the oldiest song “Happy Together” from The Turtles. The guests are ready for wedding flower shower followed by wedding family pictures by the wedding chapel. 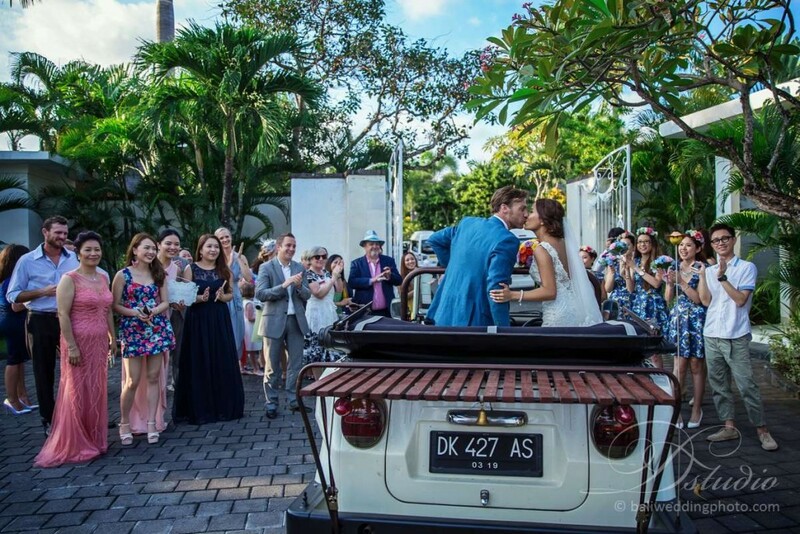 What a lovely day to get married in Bali. 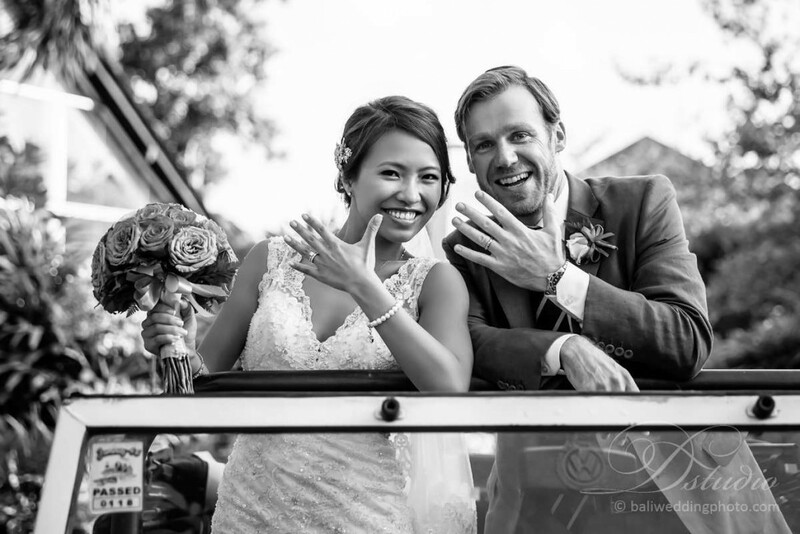 Our newly wedded couple already in their Volkswagen Safari and ready to leave the wedding chapel back to Villa Melissa for some after wedding photos and wedding videos by the ricefield and the beach and get ready for wedding reception. On the way back to wedding reception villa, we stop by the ricefield to take some wedding pictures. The ricefield looks really good during the golden hour. Done with the ricefield, time to move to the beach to get some sunset wedding photos and wedding videos. The beach looks so beautiful, its black sand makes the bride white dresses stands out in the wedding pics. 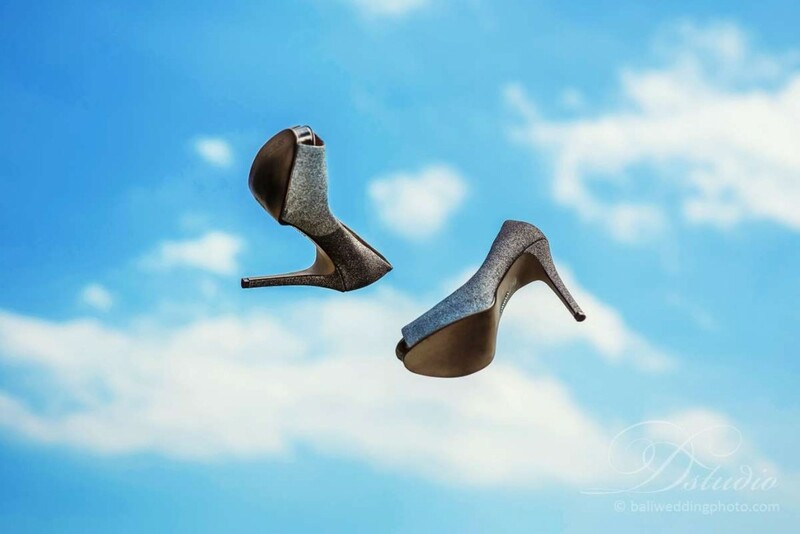 We take a lot of romantic, fun and candid wedding photos and videos during this photo session. Wedding reception about to start. Bride and groom get ready for wedding grand entrance. All guests standing and applausing our just married couple enter wedding reception area. Continued with wedding speeches from best men and groom with the wedding toast at the end. Wedding dinner is served, everyone enjoyed themselves. The band starts playing, then bride’s brother decide to give a surprise by playing guitar and singing a song dedicated to bride and groom. Finally the wedding party time has come, everyone dancing around, drink shots served. 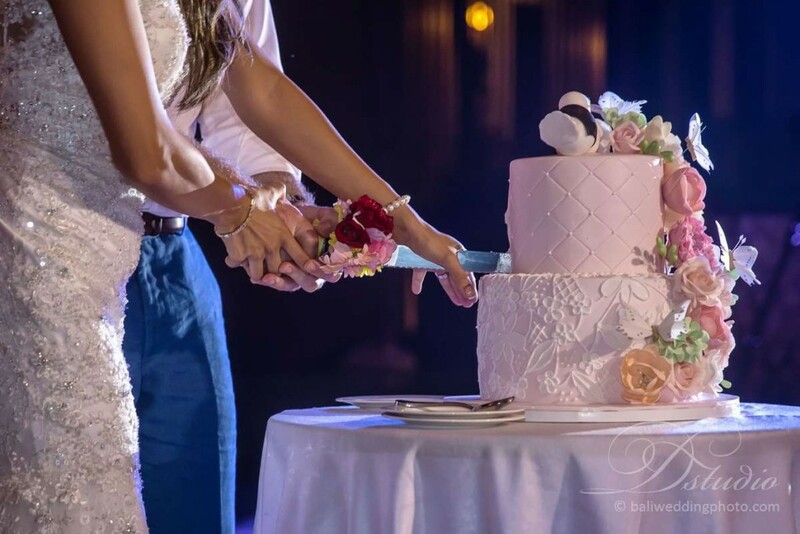 The wedding couple do their wedding cake cutting, first dance and invite everyone to come dance around with them. 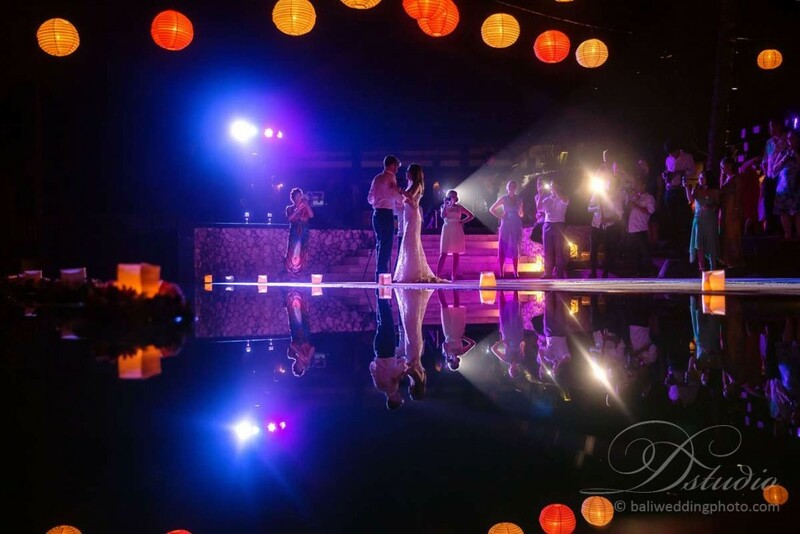 What a best time to have a wedding in Bali, do you want to have one also? 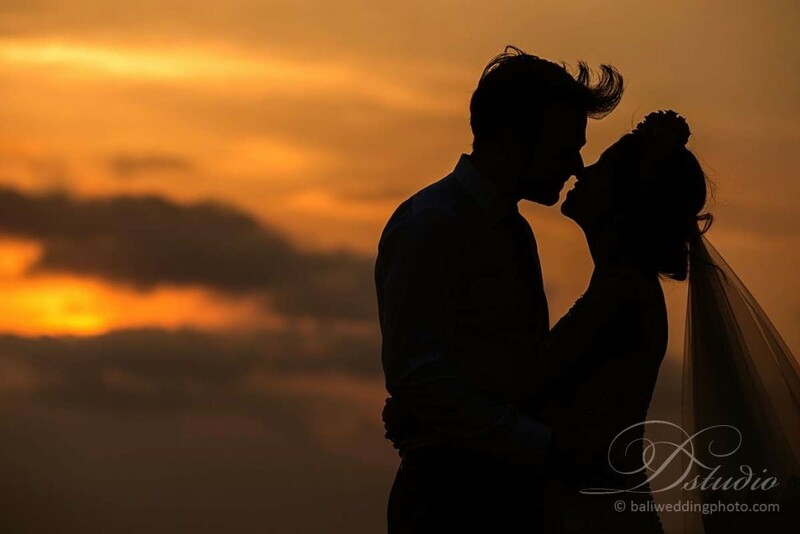 It is really good to plan your wedding in Bali ahead and look for a professional wedding photographer and videographer. 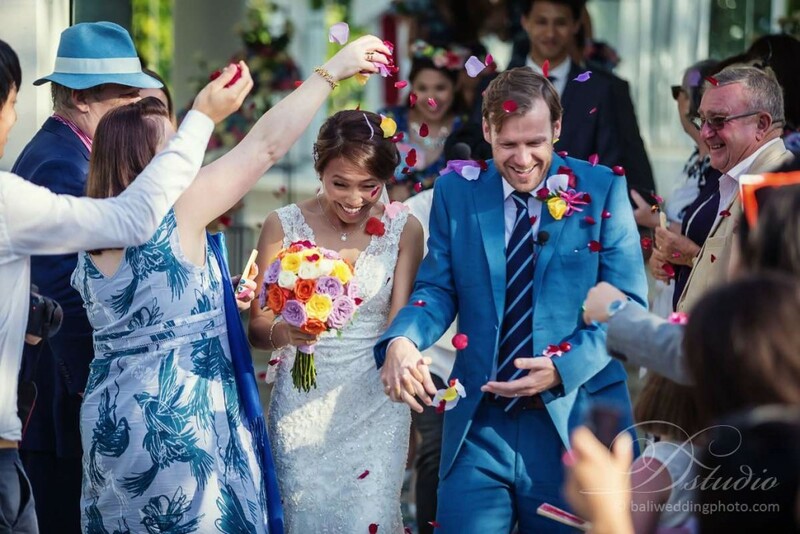 Never let this special day in your life slip away and make sure that you hire the best to capture every memories. Also, you need to take into consideration the location. 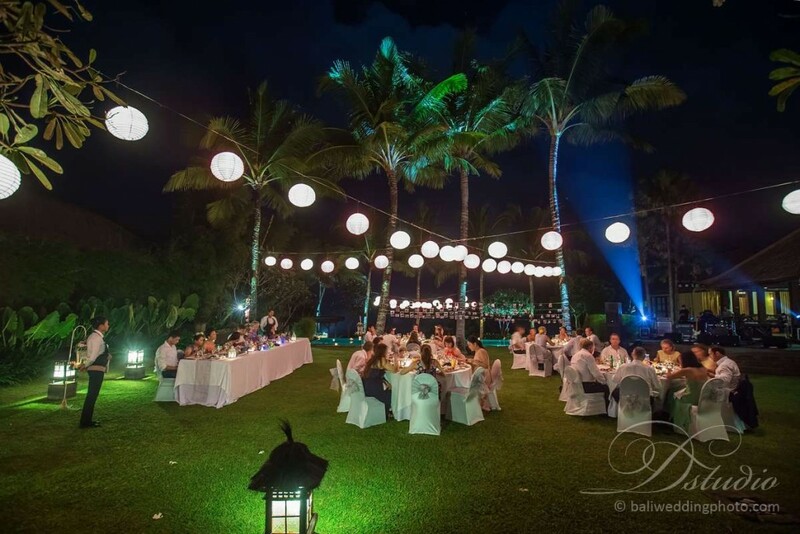 Youâ€™ve got a lot of options in Bali such as beach wedding, a chapel or maybe a wedding villa in Bali. Take time to choose from any of these, keep mind that you will be spending the entire day for this once in a lifetime event.